Science Fun For Everyone, SFFE is a team of passionate professionals with degrees in science and/or education, who have experience working with children in many different settings. Last year alone, our team brought these fun and educational experiences to over 80,000 students in the Raleigh, NC area. MISSION: SFFE is dedicated to creating and promoting that amazing and magical moment where science collides with our curiosity and imagination. Our mission is to provide this positive and powerful experience for every child possible, transforming our world into one where we thirst for knowledge and understanding. By partnering with students, teachers, parents and businesses, we have the power to make this dream a reality! 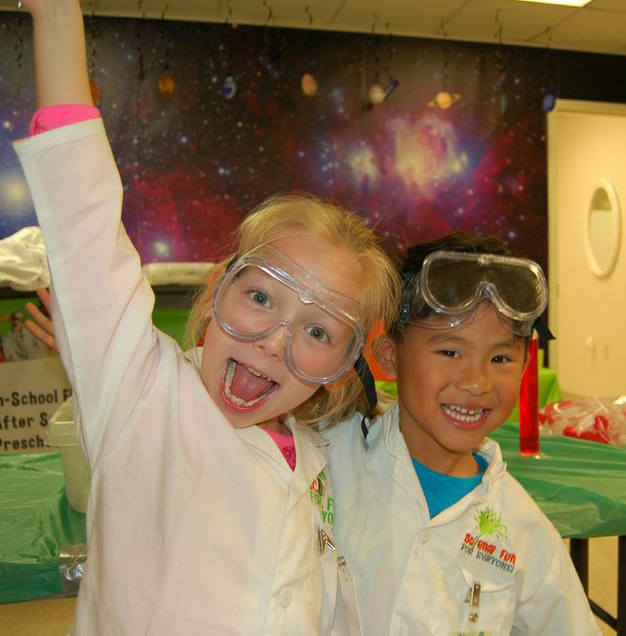 Through “hands-on, minds-on” interactive science programming, our team of science instructors will help foster this educational and empowering experience for EVERYONE ages 1 to 100! We strive to create common, fun experiences for teachers and students, taking lessons out of the text book and bringing them to life right in their classroom! By regularly providing these “edutaining” experiences, Earth’s future citizens will develop an interest in science, gain self-confidence and foster a new appreciation for the world around them!